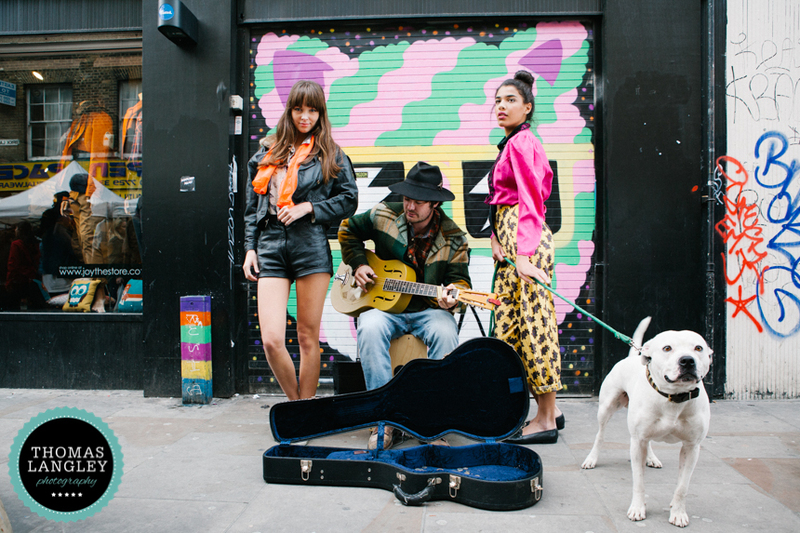 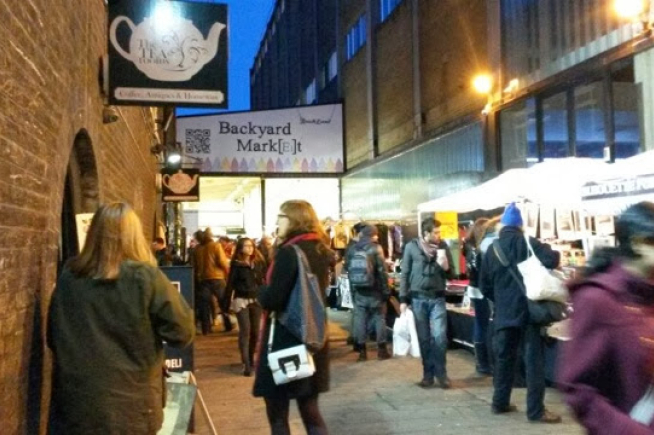 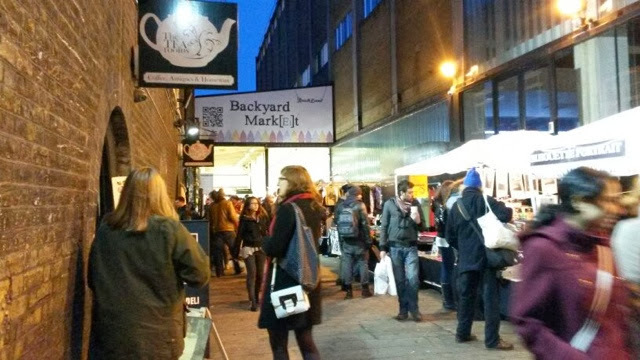 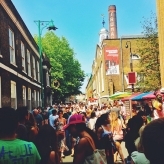 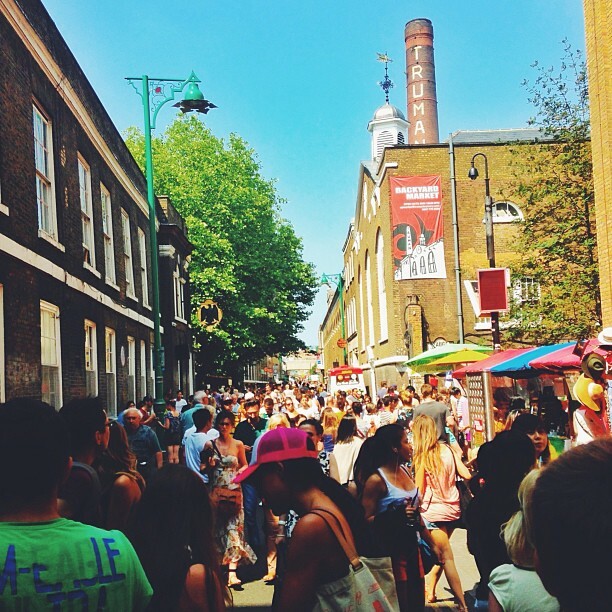 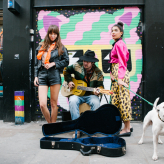 The Backyard Market is set just off Brick Lane past the Tea Rooms, featuring over 50 stalls. 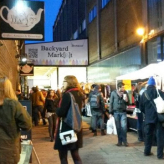 The focus of Backyard is kitsch with arts & crafts, young designers and artists, with a unique twist and community spirit. 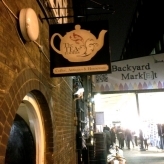 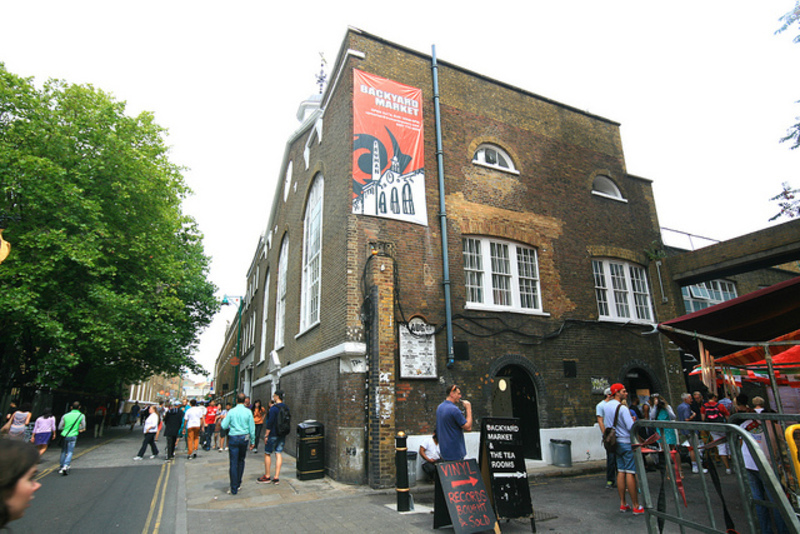 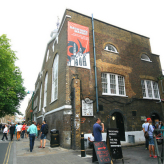 It’s situated at the heart of Brick Lane not far from the Vibe Bar and 93 Feet East. 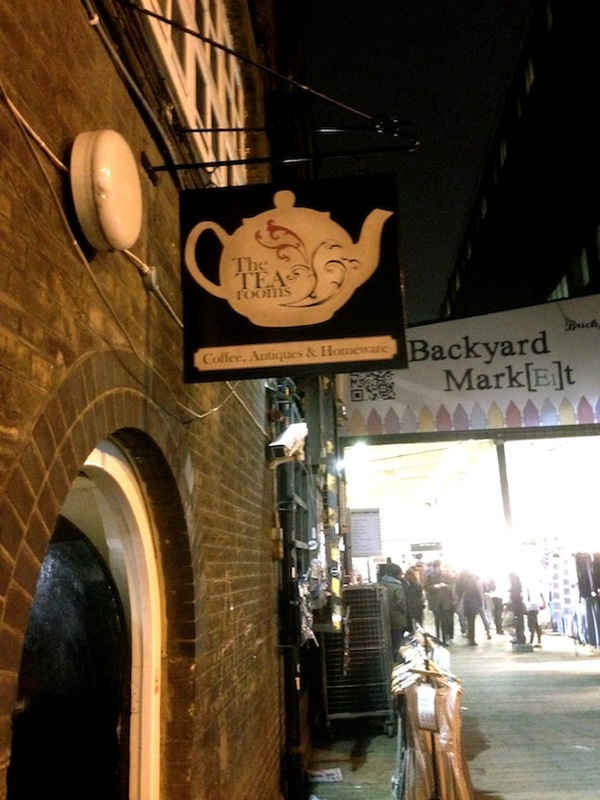 You’ll pass the Tea Rooms on the way and you’ll hear the funky grooves from the music stall.